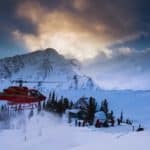 Join Till, IFMGA certified mountain guide, on an 8-day fly-in ski-touring trip in the unique area around the Sorcerer Lodge, an the heart of the Rockies. 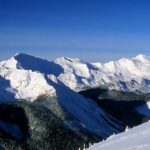 Join me on this 8-day fly-in ski-touring Rockies trip. 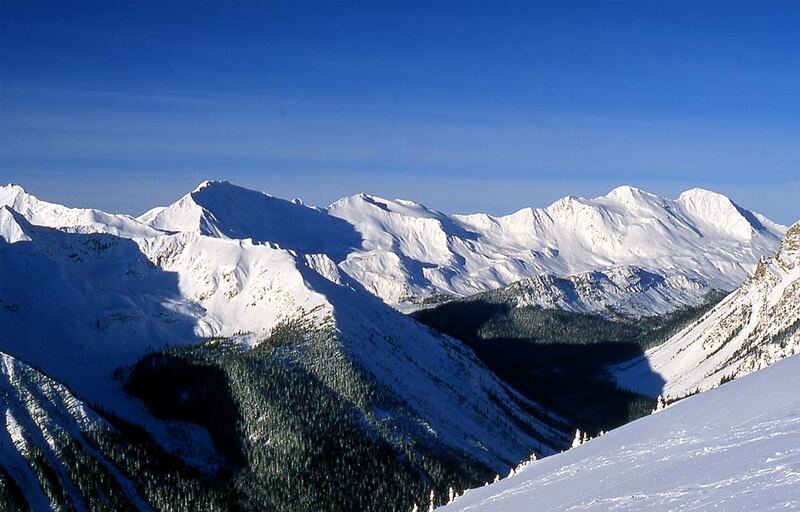 The Selkirk Mountains are a unique scenario for ski lovers around the world. Its unique weather conditions, more continental, make this trip truly special. 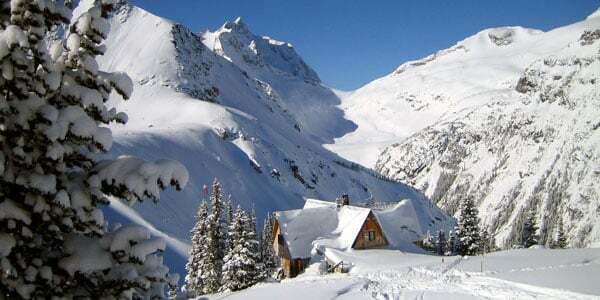 First, I will meet you at Golden, located in the province of British Columbia. Once there, we will fly-in to Sorcerer Lodge by helicopter. Note that the reason we need to fly-in to this area is that there is no alternative infrastructure around this part of the Rockies. Also, this is the main reason why skiing in this area is different. 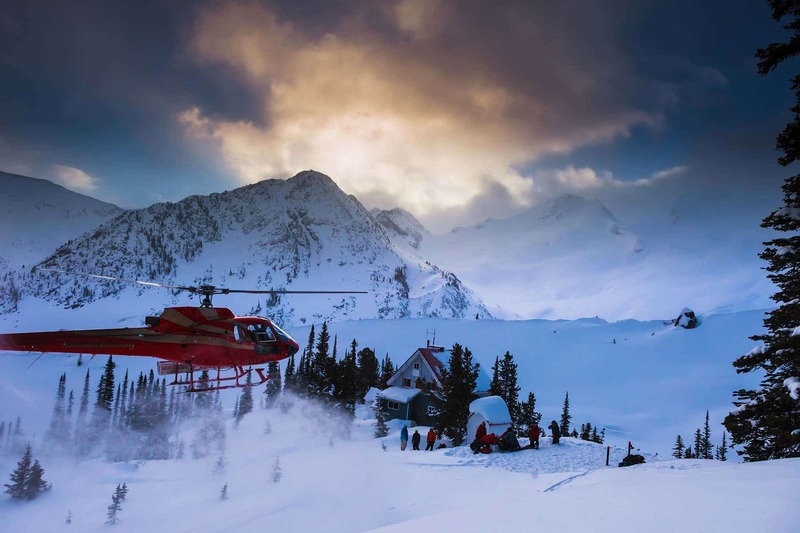 This is why it is the Mecca for skiiers with a passion for powder skiing. This will be our base camp for the rest of the trip. 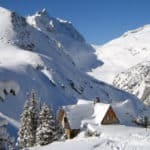 The Lodge offers several ski-tour options, thanks to its versatile surrounding terrain. And, given the exclusivity of access to it, all the powder will be ours for these days. 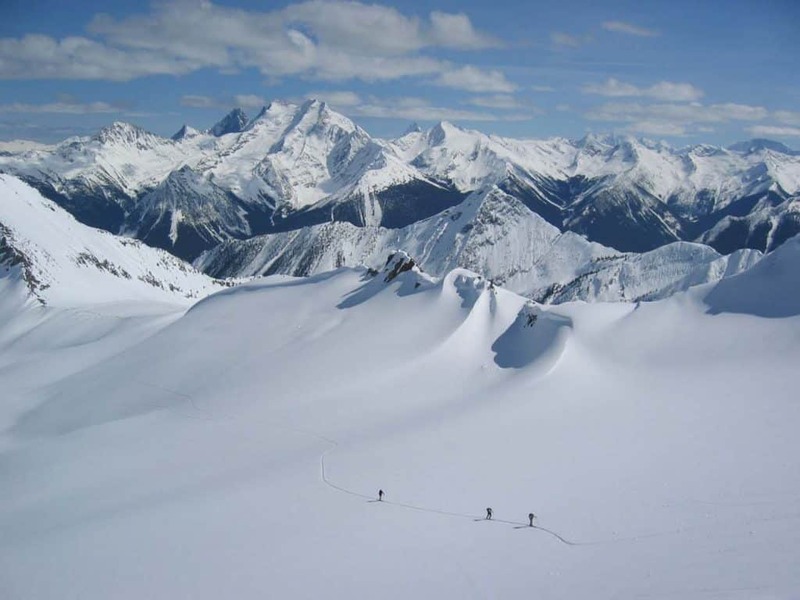 Next, the conditions of this area at the heart of the Canadian Rockies are unique. During the month of February, low temperatures combine with 2 meters of light powder snow per week. Specifically, the area allows for different trails depending on the snow and weather conditions. 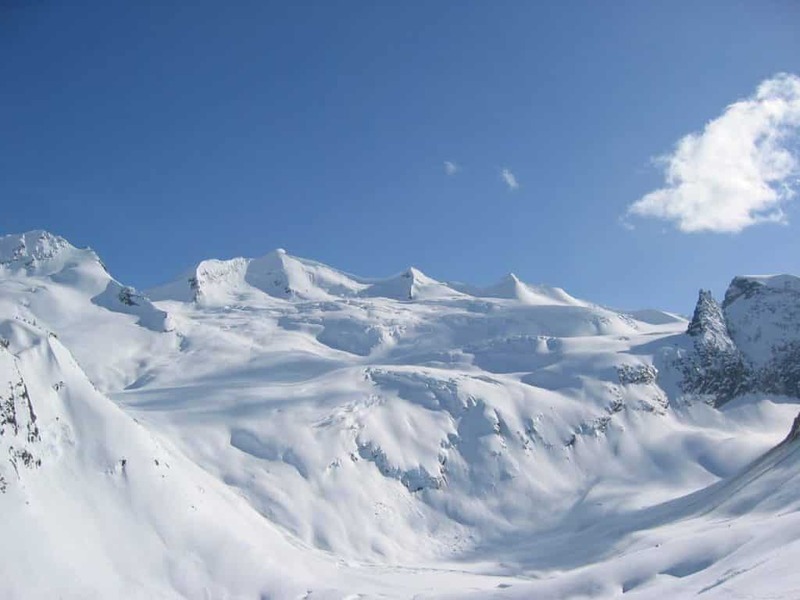 During 7 days I will guide you around the different skiing options. 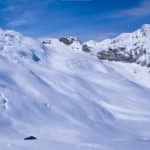 For example, tree skiing, small climbs, glaciated and non-glaciated terrain, summiting, shredding the untouched powder, and more. The cozy Sorcerer Lodge also counts with a relaxing sauna. Plus, you can stay reassured that food will be taken care of. I always fly-in a professional mountain cook, who will provide a varied daily menu for us, including gourmet dinners. All the meals are included. Please note that each skier will need to bring his/her own gear along. 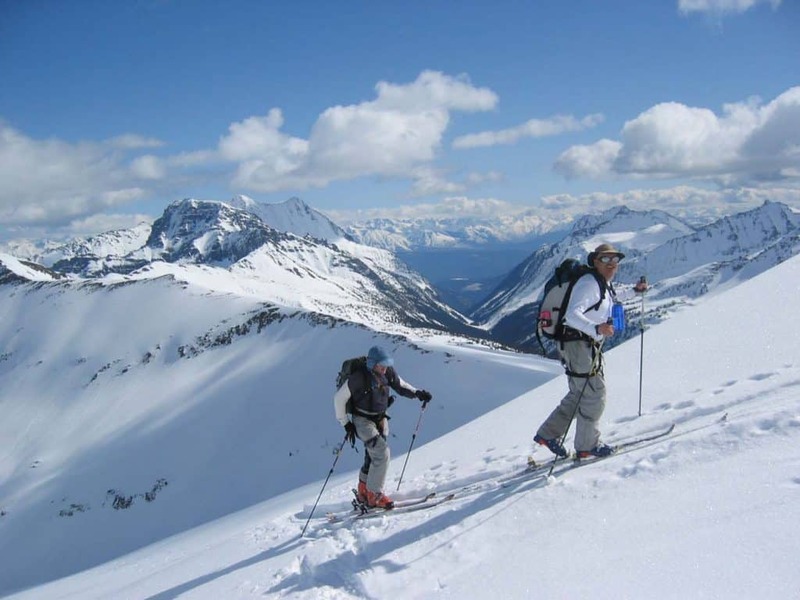 Interested in this fly-in ski-touring Rockies trip? Contact me for more details and information. I am originally from the town of Koblenz in Germany but grew up in Heidelberg, where I also studied to be a school teacher, eventually graduating with a PhD in Pedagogy. 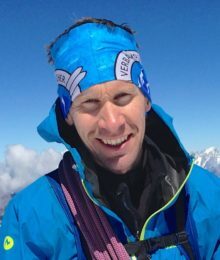 An avid mountaineer since childhood, I also pursued my IFMGA mountain guide certification at the Technical University of Munich, which I finished in 2005. I have been moving around a lot lately, between mountain guiding in the Alps during the summer, sometimes skiing in Canada and otherwise living with my wife and young daughter in the Blue Mountains of Australia. I have participated in several major expeditions. These include Manalsu in Nepal, followed by first ascents on skis in Madagascar (2008), Canada (2009), and Namibia (2011), pioneering new climbing routes in the Brandberg Massif. The largest expedition took place in 2012 as a member of an international team that successfully reached the summit of Nepal's Lhotse (8,516m) without oxygen. I speak native German, very good French and English with a Aussie accent.